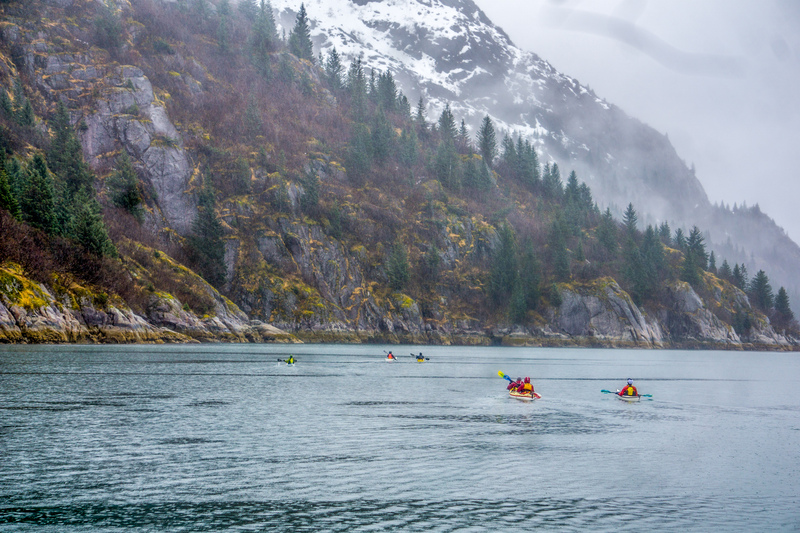 Paddlers should be comfortable spending most of the day actively paddling in a kayak. If kayaking in a true “wild” seascape is on your agenda, a trip to Northwestern Lagoon and Harris Bay may be the best choice. 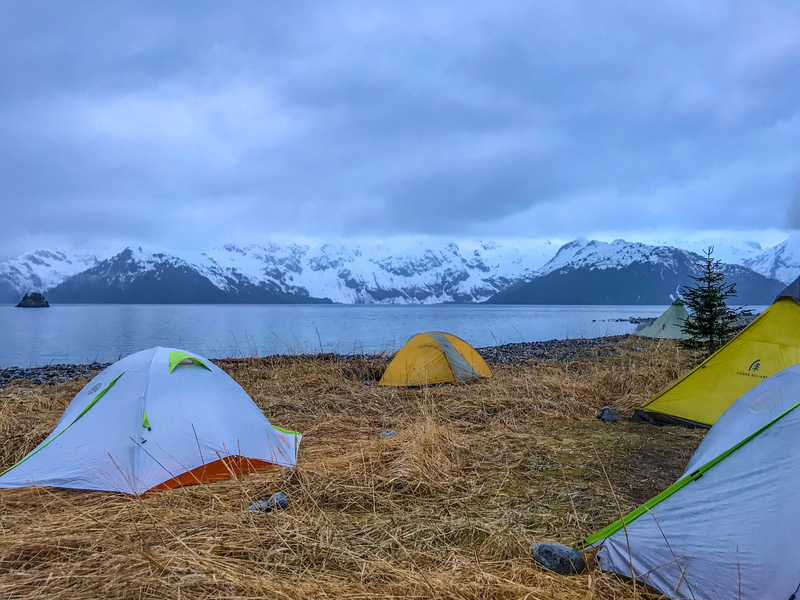 This remote kayak camping tour offers 8-15 miles of paddling per day, with a possibility of moving camps, or, more time to linger and travel. 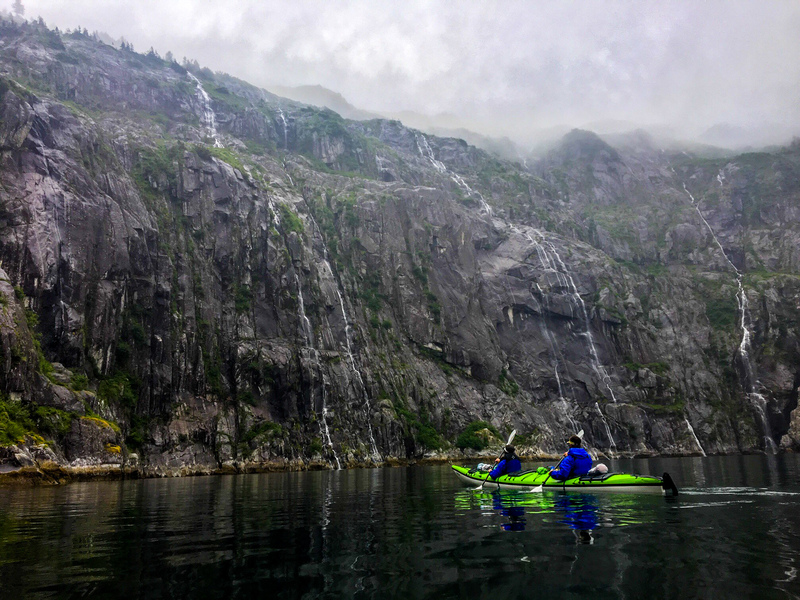 This area offers one the best chances in Kenai Fjords to paddle with Orcas and also get a feel for how the earliest native peoples saw this raw and rugged fjord. We invite you to a pre-trip evening meeting at the Liquid Adventures barn. You’ll meet your trip leader and fellow paddlers and we will briefly discuss logistics and answer any last minute questions. We board our water taxi and set out around Cape Aialik and head for Northwestern Lagoon. We’ll keep an eye out for Stellar sea lions, puffins, whales and sea otters on this scenic 3-hour charter. 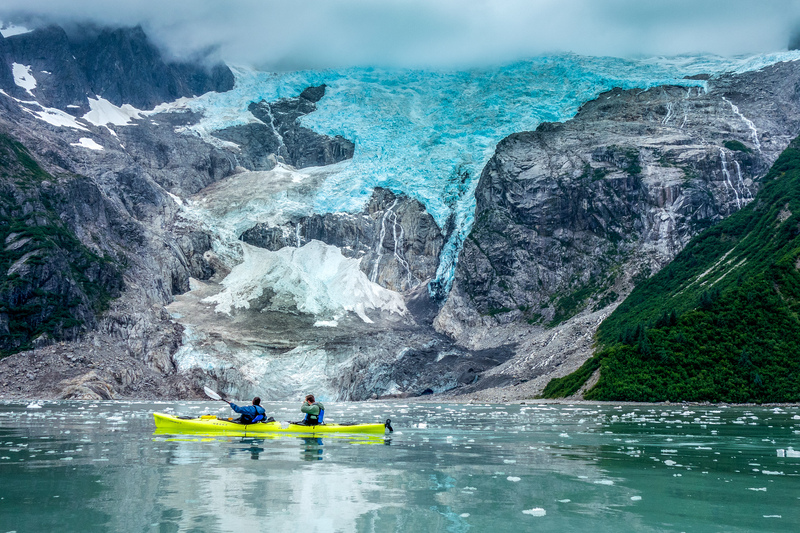 After setting camp in Otter Bay, your guide will give an introductory kayak lesson and go over essential safety procedures before we push off to explore the glacial moraine that marks the entrance to our new home. 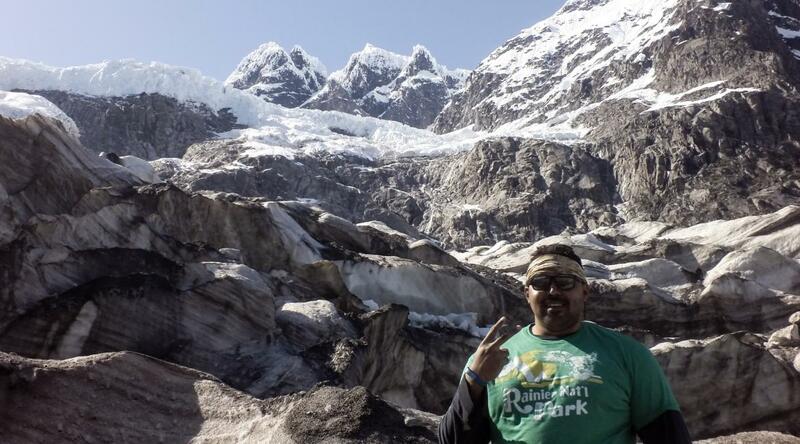 Wake up on day two and take in the magnificent glacier views just outside your tent. Breakfast is waiting. 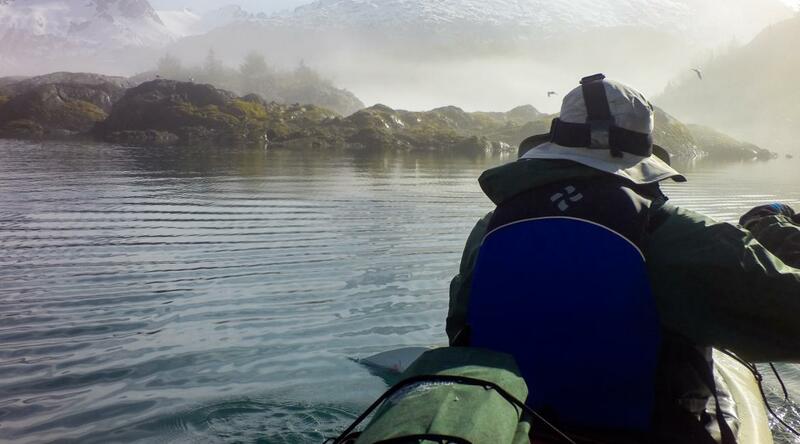 We’ll discuss our paddling options for the day, which might include a circumnavigation of Striation Island or perhaps a trip to Cataract Cove; one of the quiet bays that was unknown just two generations ago, buried in ice. 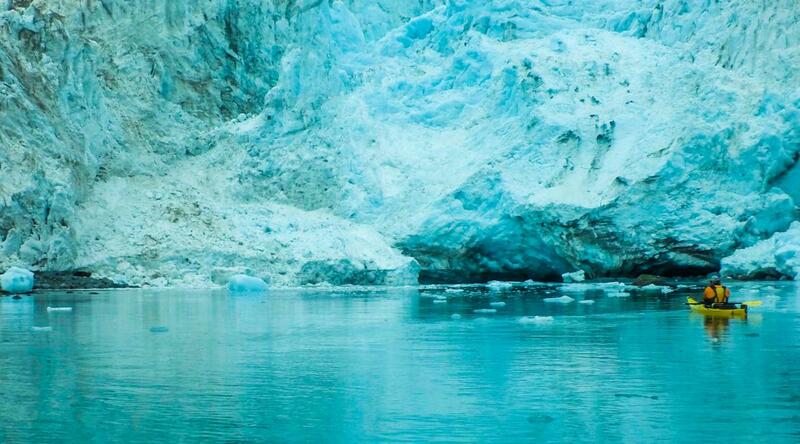 Seven glaciers, numerous offshore sea stacks, natural arches, and more. Where do we start? Two days for us to lose all sense of scale in the face of massive ice walls and spectacular granite cliffs. 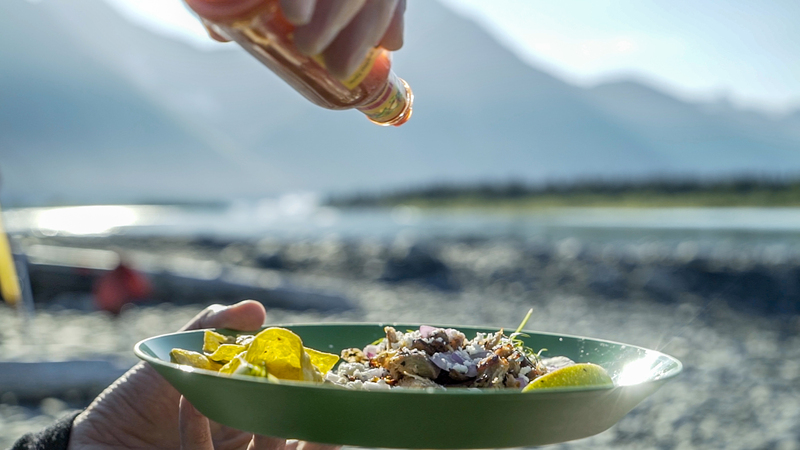 After a leisurely breakfast we’ll break camp and go for a short kayak trip or just relax on the beach and take time to capture photographs of the awe inspiring place where the mountains fall into the sea. 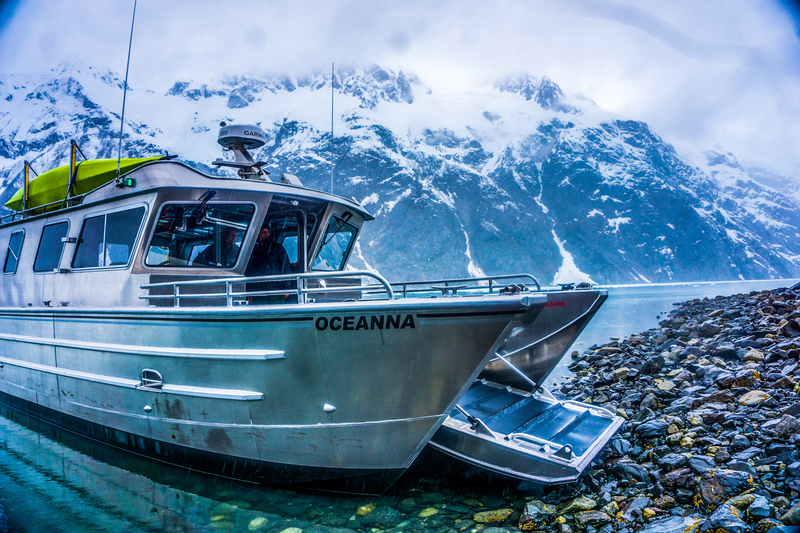 Our water taxi will return mid-day to take us back to the place where it all began; the coastal town of Seward. ​Total trip time is 3 days and 2 nights from start to finish. 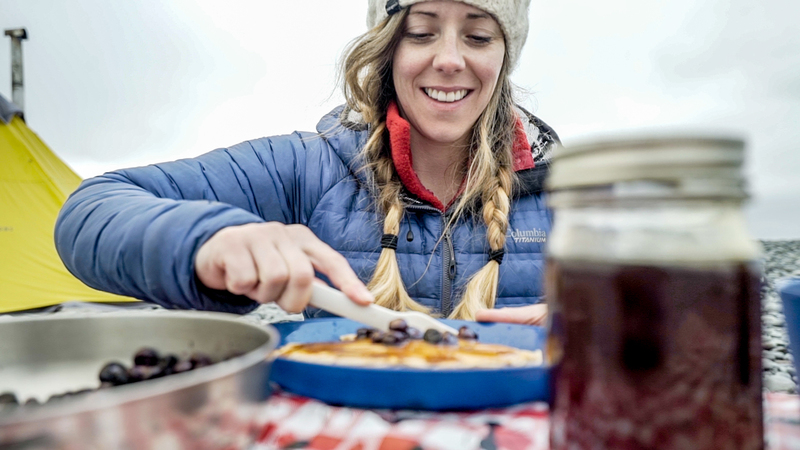 This trip is great for new and experienced campers alike.